For those of you in Arizona, Sea Life Arizona is celebrating their 4th anniversary. To celebrate they are having a sale on Annual Passes. From 5/11 to 5/17 you can purchase a new annual pass, or renew your Sea Life Arizona membership at a 40% savings. For just $27 you will get unlimited entry into Sea Life, a discount at the gift shop, and additional members-only benefits throughout the year. Also, on Mother’s Day (5/11) mom’s get in for just $4. Mom’s can purchase tickets for just $4 plus tax, when accompanied by another guest and offer is mentioned at Admissions Counter. This offer is valid only on 5/11. Papa John’s is running a deal for football fans all season long. From now through February 2, 2014, use the code CARDINALS15 and you get 2 Large 3-topping pizzas for only $15. Combine this with Papa John’s gift cards you can earn from Viggle or Swagbucks and you have a really inexpensive meal for the whole family. I tend to do this for the kids’ birthday parties. The pizza is a hit, and it doesn’t break the bank. This won’t appeal to everyone, but if you have a geek or gamer in your family, this may be the ideal gift for them! 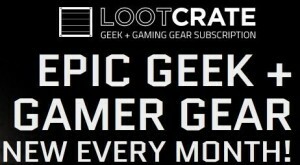 LootCrate is a monthly subscription box that will make just about any geek or gamer happy. Use Code ANIMATE when you subscribe, and save 10% on your subscription. Subscriptions are offered in 1-month, 3-month, and 6-month increments. 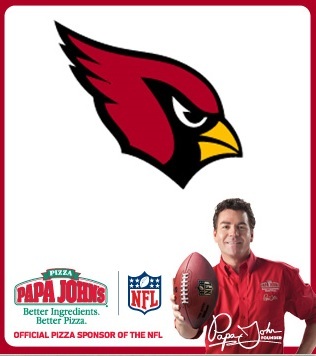 Papa John’s is running a deal for Cardinals fans all season long. From now through February 2, 2014, use the code CARDINALS15 and you get 2 Large 3-topping pizzas for only $15. This is one of those things that I spend some time debating over…do I really need it? After some debate I decided that I would splurge and get one. I’m glad I did, it makes cleaning grout and crevices in the bathroom easier. This week you can pick one up at Target on sale. If you have a Red Card, you will only need to pay $9.92 after the additional 5% discount. If you are a mom (or dad), and have not already signed up for Amazon Mom, they are running a really nice deal for new members. New Amazon Mom members with Prime (including those with the free 3-month trial) who join between August 13 and August 29, 2013 (ends 11:59 PM Pacific Time) can use the single-use-only code BABYTIME and save $25 on eligible diapers! After you have joined Amazon Mom, add eligible diapers to your Shopping Cart. Enter the promotional code, BABYTIME, in the area “Gift Cards & Promotional Certificates,” and click the “Apply” button. This can also be used in conjunction with the Save $5 Off $25 Promotion Code I posted earlier. If Interested, Join Amazon Mom and save! Remember, if you select the “Subscribe and Save” option for the lower price, be sure to log back into your Amazon account after the shipment arrives to be sure you don’t get the recurring shipment if you don’t want future deliveries. 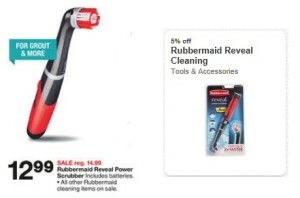 Personally, I have found that depending on the local sales and coupons available, sometimes the Amazon “Subscribe and Save” price is the better deal, sometimes it is not. Use Code AUGUST when you subscribe, and save 10% on your subscription. Subscriptions are offered in 1-month, 3-month, and 6-month increments. JoAnn Fabric and Craft – Teacher Appreciation Days! Teachers can take advantage of JoAnn Fabric and Craft’s Teacher Appreciation days Saturday, August 10th and Sunday, August 11th. Teachers can save 25% on all in-store purchases, including regular, sale-priced, and clearance items. Teachers must present a current teacher identification and state-issued photo I.D. If you need a coupon for Jo-Ann’s, you can print out a 40% Off One Regular-Priced Item coupon, or use TWWG180 code online. Sunday June 30 to Saturday July 6 is Military Discount Days. Save 20% off your total purchase. It is their savings salute for military service, past and present, and includes dependents. Military or Dependent ID must be presented for discount. Includes regular, sale-priced and clearance items. Some exclusions apply. July is Student Discount Month. From July 1 to July 31, students can receive 20% off their total purchase. Valid student ID card, college acceptance letter or recent report card must be presented. Must be 14 years or older. Includes regular, sale-priced and clearance items.